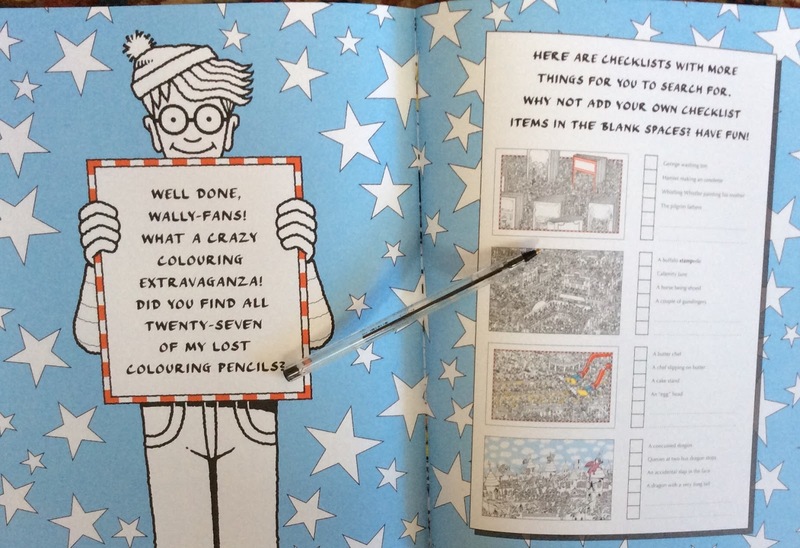 Colour+: Where's Wally? 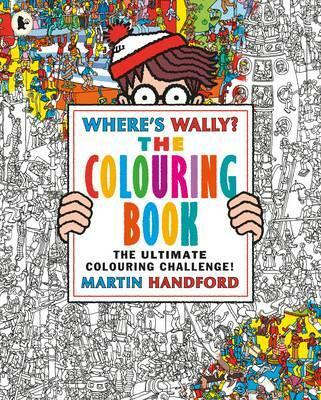 A Riot of Colouring! 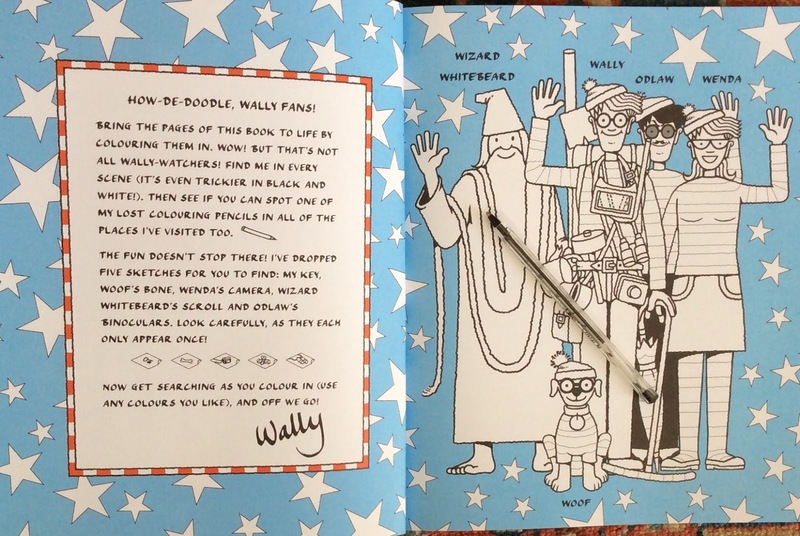 Many of us will remember when the Wally books were first published. They would have been in many Christmas stockings. 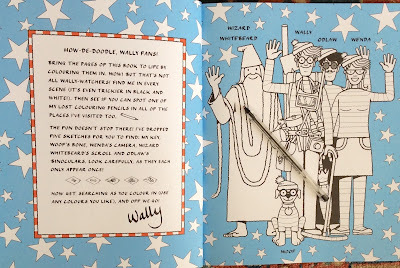 Remember poring over them with the kids, hunting for a whole list of items, not just Wally? And the setting for each spread was amazing. So much to discuss in each image. I found one book on our bookshelves and I suspect the others are up in a cupboard. 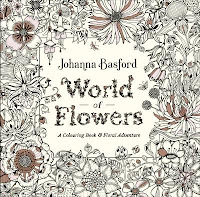 So to colour this colouring book brought back many memories. 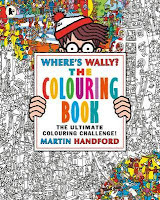 Who will love it - those who enjoyed the Where's Wally/Waldo books, those who like colouring detailed images, and those who like having fun looking for hidden items. 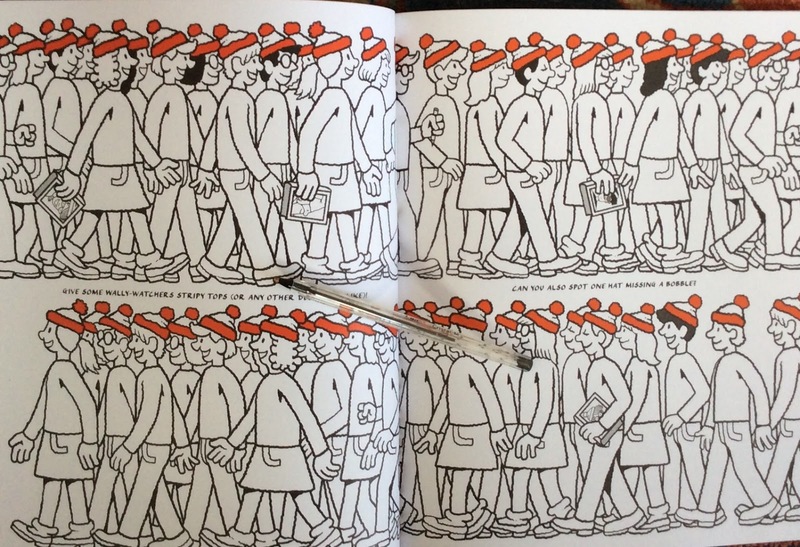 Comment: I've come to the conclusion that you don't really know a "Where's Wally" book until you've coloured in some images. In every detail there's something happening. They are so funny too. Look at people's faces and wonder what they're up to and talking about. For once you don't have to think about blending, backgrounds and shading. Just put down the colours and look and enjoy. 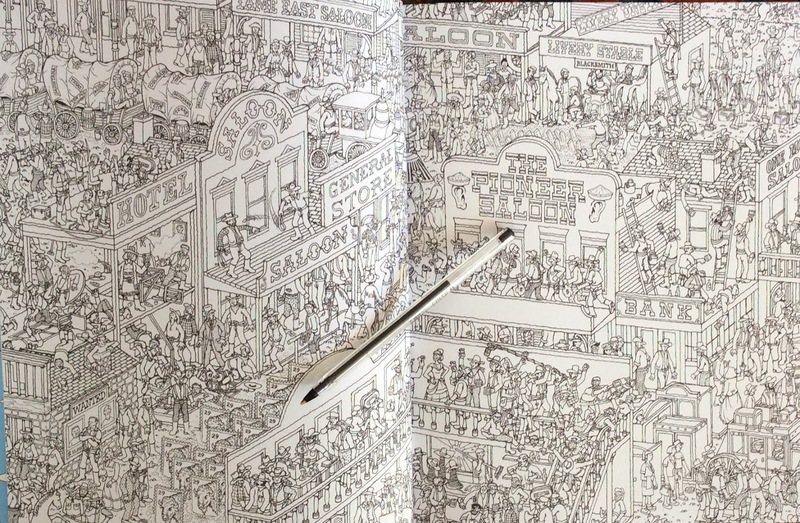 Drawing: Dotted in amongst these busy scenes you'll find Wally and some of his entourage plus lots of other hidden items, including pencils. 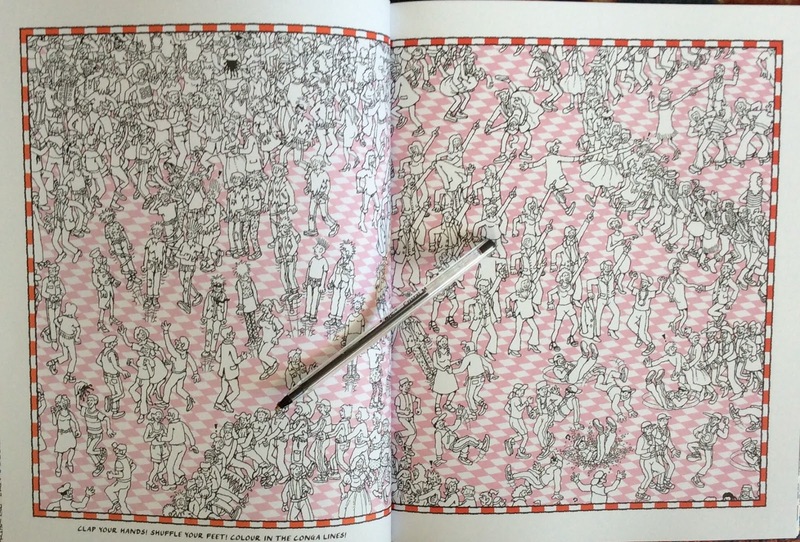 The drawing is quite hectic in a few images but in others, it's not really too detailed. 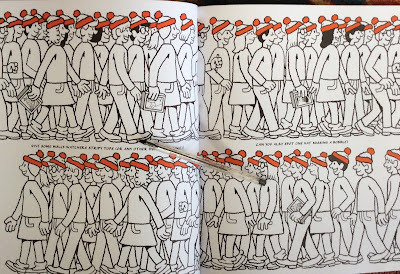 In several spreads, parts of the background has colour added and I find this a huge help in just finding my way through the images. 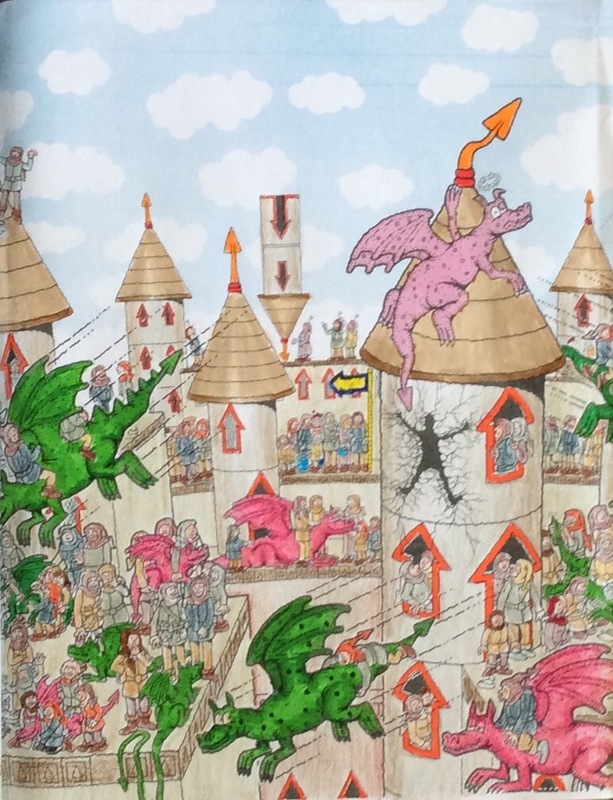 Perhaps start colouring the backgrounds first so that it is easier to see what is actually happening with the action. 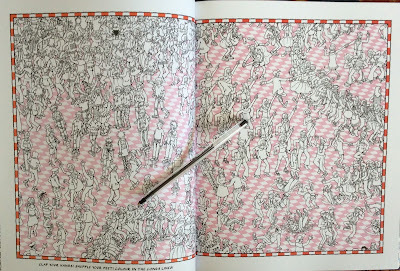 A few of the spreads have borders which also helps visually. Layout and Paper: All of the scenes are double page spreads so you will need to negotiate the spine. However it's not too tricky and it gets easier. The book is glue bound and is about A4 size. 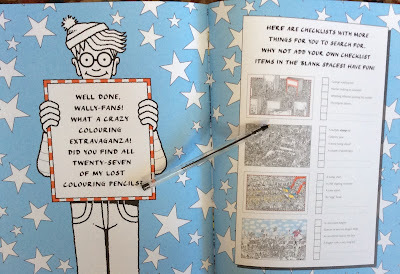 At the back of the book is an index to the spreads, along with lists of items for you to hunt for. 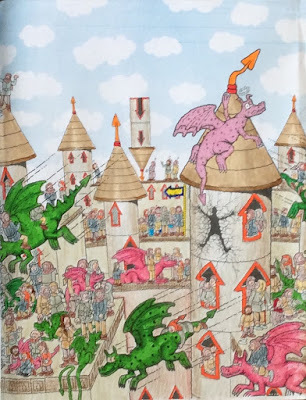 In the colouring above I found Wally, a queue at a bus dragon stop, a concussed dragon and a dragon with a very long tail. Lots of other interest as well. Pencils will be fine on this paper and test any pens and fine liners first for shadowing. 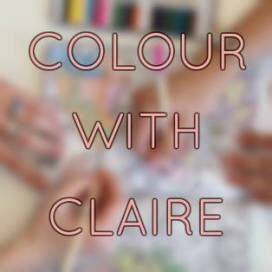 I'd avoid alcohol based markers.